Liang Han is undergoing a transition. As a postdoctoral researcher in the lab of Xinzhong Dong, she is preparing for a major career move to become an independent investigator. That transition is aided by the fact that Han is the recipient of a National Institute of Health (NIH) Pathway to Independence Award, known to many by its grant identifier, K99. The K99 is a prestigious award given by NIH to postdoctoral fellows and provides funding to facilitate their move to independent investigator. Along with providing funds for their research, having a K99 award makes them a more competitive applicant for academic research positions. Han’s funded award is titled “Molecular and Cellular Mechanisms of Itch Sensation” and continues the line of work she undertook in Dong’s lab, while also setting out to study new aspects of the itch sensation. Han’s research concerns receptors found on sensory neurons called Mas-related G protein–coupled receptors (Mrgprs). 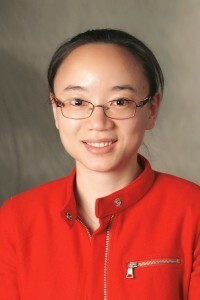 Along with her colleagues in the Dong lab, Han has published research articles in many high-impact journals implicating these receptors in contributing to pruritogen-induced itch. Han’s published work in Nature Neuroscience was the first to demonstrate the molecular identity of itch-sensing neurons innervating the skin1. Han is ending the initial phase of mentored grant support and will be moving onward with the fully independent portion at the Georgia Institute of Technology. She now finds herself busy completing projects here while preparing the groundwork for her new faculty position. Is she nervous about starting a new job? “I’m actually excited,” she explains with a smile.